Do not use RO water as it stops the steam generation process. 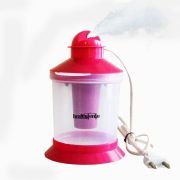 See Video Link :- http://www.mediafire.com/watch/13nuar0neyjqhcd/vaporiser_video.mp4 Design- Steam Sauna vaporizer is designed in a unique way, made up of plastic body, which is shock free and light. The attachments are provided with smooth edge for the nasal and facial purpose. Portable- Along with the attachments Steam Vaporizer is quite convenient to carry on way or at home as well. 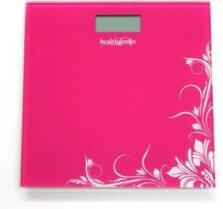 It has light weight and a small box is there to place all the attachments. 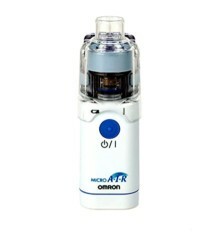 Also, the vaporizer is very easy to use and maintain. NOTE: You may experience slight odour of burning plastic due to heating and settling of virgin plastic. 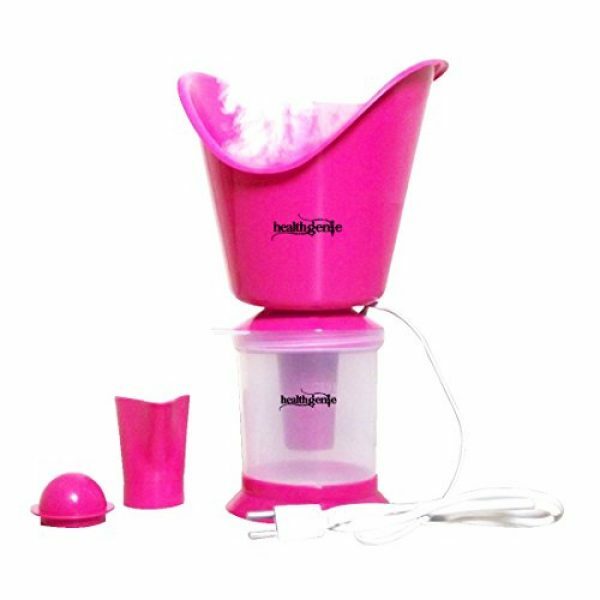 Hence it is highly recommended to wash the vaporizer with lukewarm water before first use. 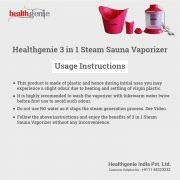 3 in 1 Extra Steam Sauna vaporizer Healthgenie is unique in nature it is useful for both health & beauty. 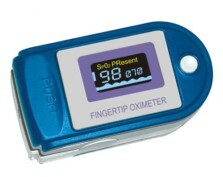 This vaporizer is highly effective and easy to use. 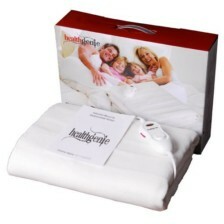 It is ideal for the purpose of inhalation during cold or respiratory problem. The vaporizer is convenient in carrying while on the go as well as at home. 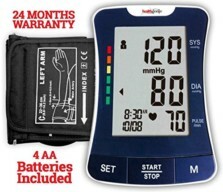 *It has a plastic body which is shock resistant and comes with a long cord. 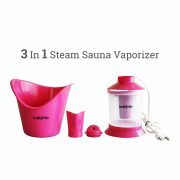 *The vaporizer has one more advantage, it can be used as a beauty purpose with sauna, you can use the steamer during facial, clean up or in removing clogs out of the face. This vaporiser is great. Purchased for giving regular nasal vapor medicine for my kid and parents. It works great, good steam flow. Amazing. I dint expect this. It is really superb. Alot of steam and helped me clear my sinus’. Don’t use RO Water, use normal tap water and you get alot of steam.